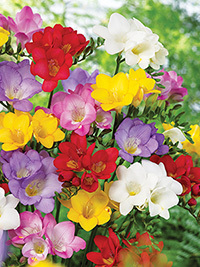 A mixture of single freesias with white, pink, blue, red and yellow shades. These are a smaller grade of bulb which will still grow and flower very well. Great value.